Dr Heng is a cosmetic surgeon with over a decade of experience in cosmetic procedures. He is graduated from the University of Malaya in 1989 and became a fellow of the Royal College of Surgeons(Edinburgh) in 1994. He obtained his Masters in Surgery from the National University of Malaysia in 1996. Previously a Consultant Plastic Surgeon (Burns, Plastic and Reconstructive Surgery Unit) and lecturer for University Malaya Medical Centre, he left the university and started a private practice in 2006. 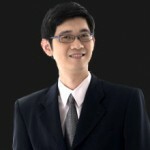 In addition, Dr Heng is a member of the Academy of Medicine Malaysia since 2003. Dr Heng’s speciality is Breast Surgery, Tummy Tuck and Vaser Liposuction including a combination of these procedures. 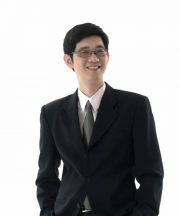 Dr Heng is the first Plastic Surgeon in Malaysia to be trained by the Vaser Institute. This is a Colorado-based establishment, dedicated to surgical training in body sculpting and “High Definition Liposculpture”. This is an advanced body contouring technique. 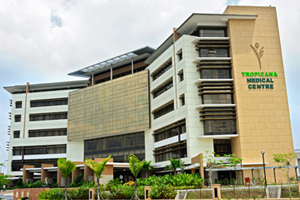 Next, Tropicana Medical Centre (TMC) is the flagship hospital of TMC Life Sciences. With our state-of-the-art facilities and modern infrastructure, our promise is to deliver quality, affordable health care solutions and superior service experience to our local, regional and international patients. We continually strive for excellence towards the total satisfaction of our patients, served by our dedicated and passionate team of skilled medical personnel. Proudly, we house a panel of over 70 Consultant Specialists. A highly trained with a commendable track record in their represented medical and surgical disciplines. The TMC’s Consultant Specialists have to their advantage years of creditable professional experience. And also, internationally accredited post-graduate qualifications as well as fellowships from countries. For example, Singapore, Taiwan, India, United Kingdom, United States and Australia.